Jesus was a carpenter. Carpentry is good. But any product that encourages you to feel its "kid wood" is clearly manufactured by the devil. 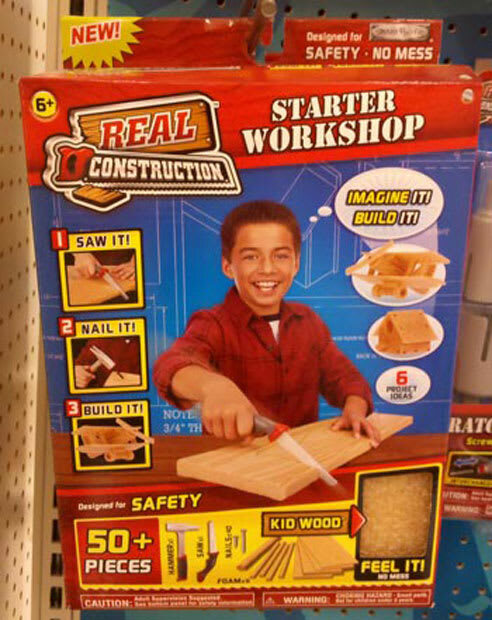 And any child using this should make their first building project the construction of a therapist's couch.